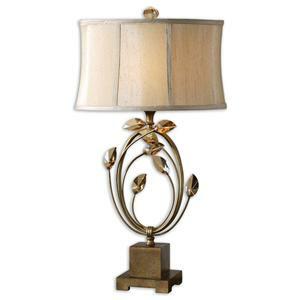 Heavily Antiqued Aged Ivory With Dark Bronze Undertones And Gold Highlights. 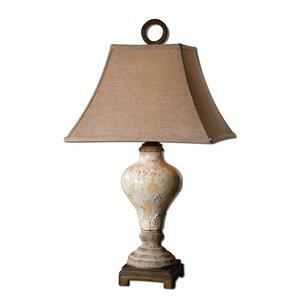 The Scalloped Round Bell Shade Is A Light Burlap Linen Fabric With Natural Slubbing. 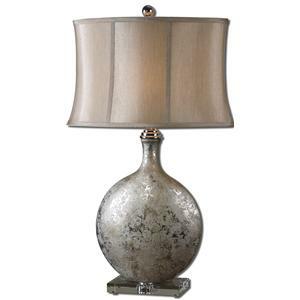 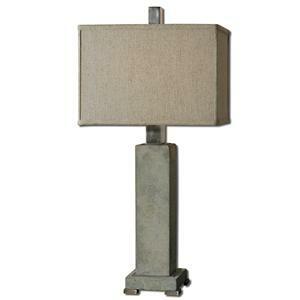 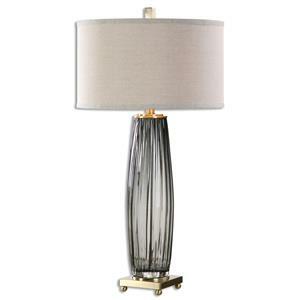 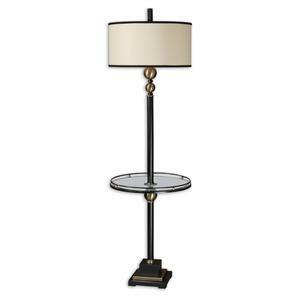 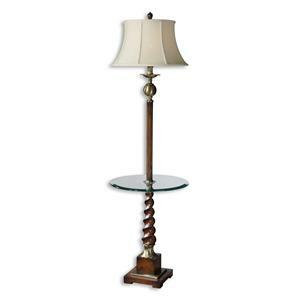 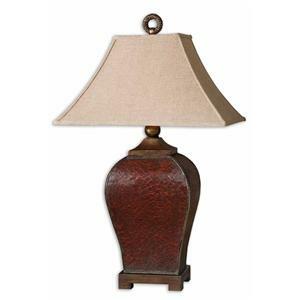 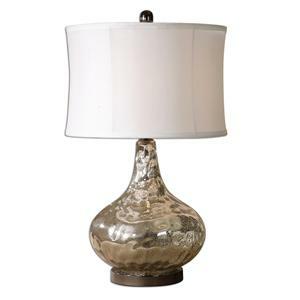 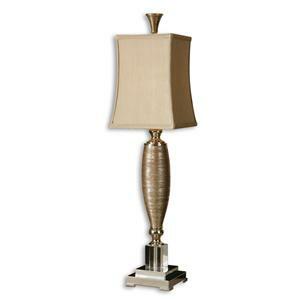 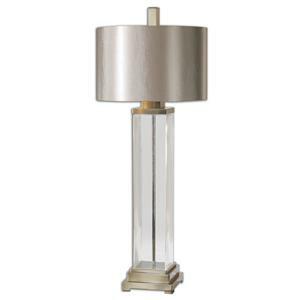 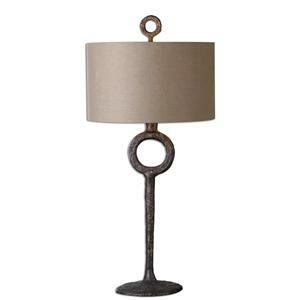 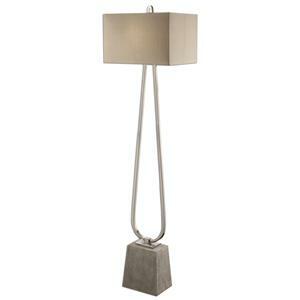 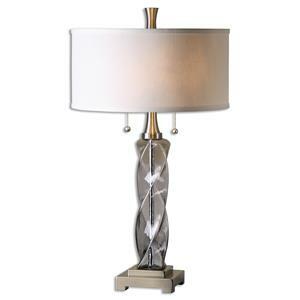 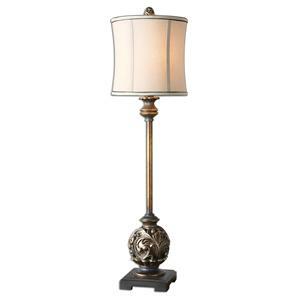 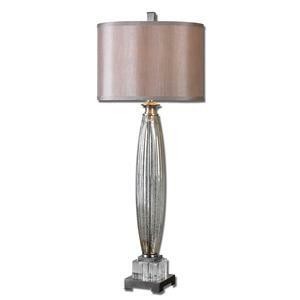 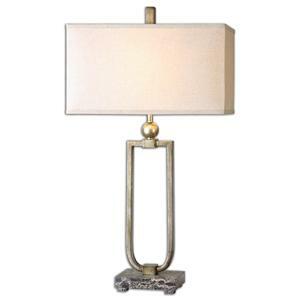 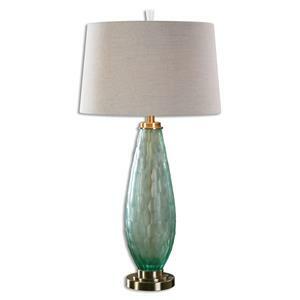 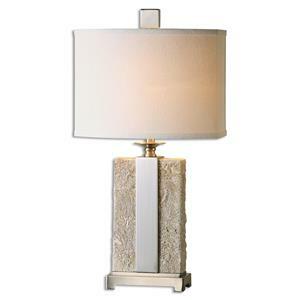 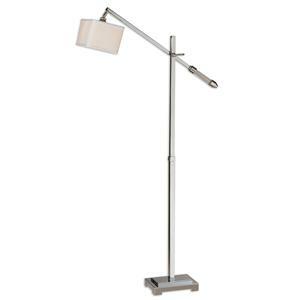 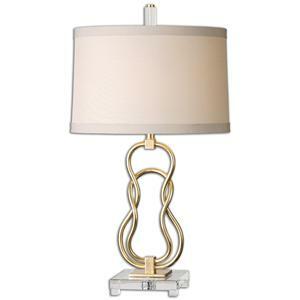 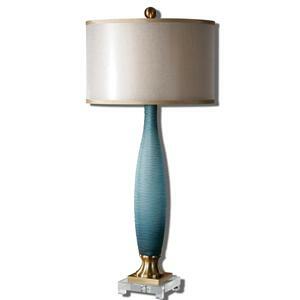 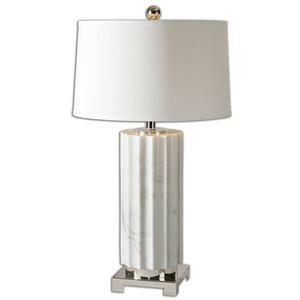 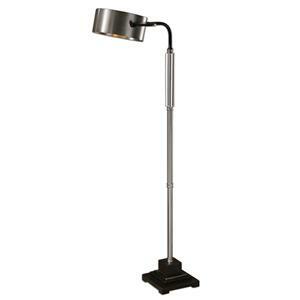 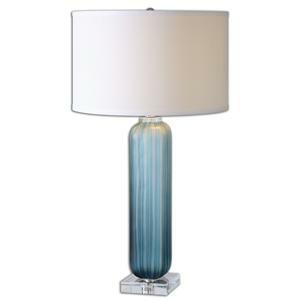 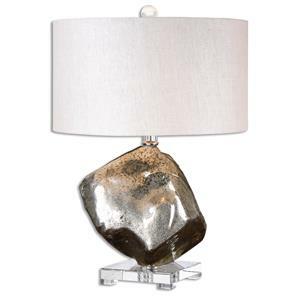 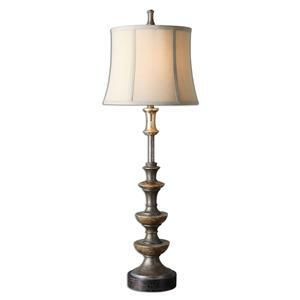 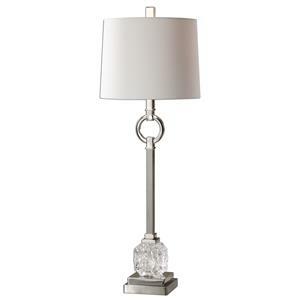 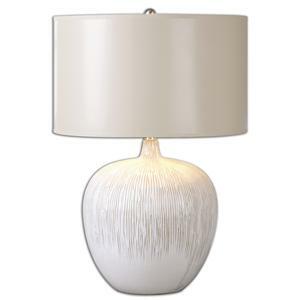 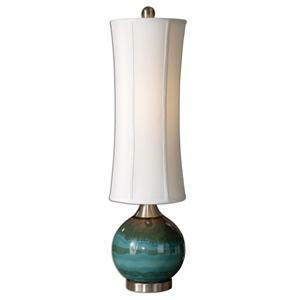 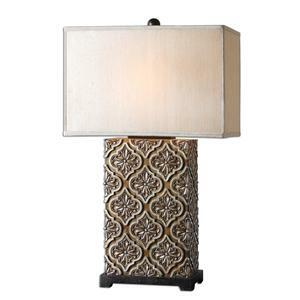 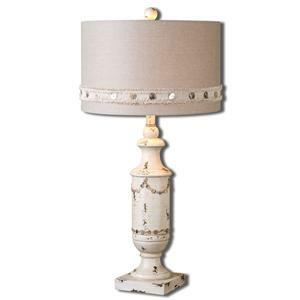 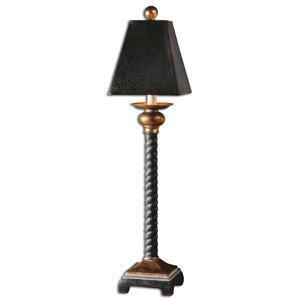 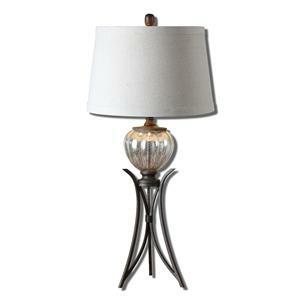 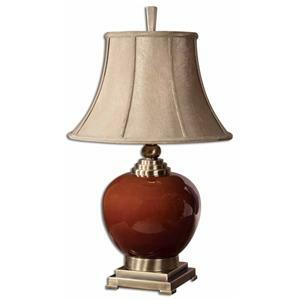 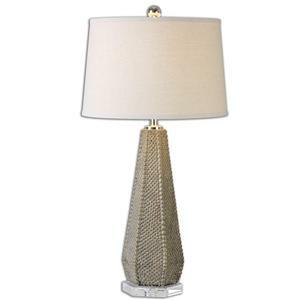 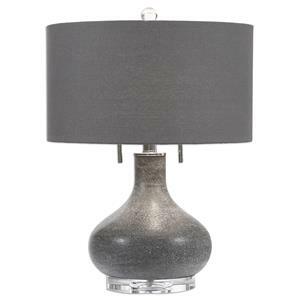 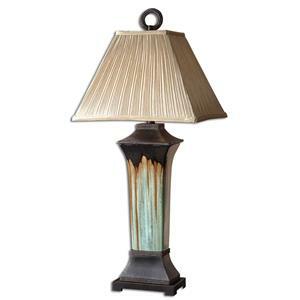 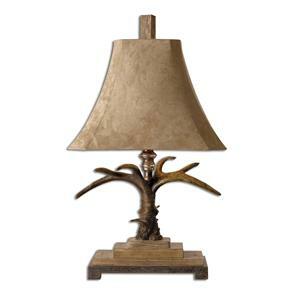 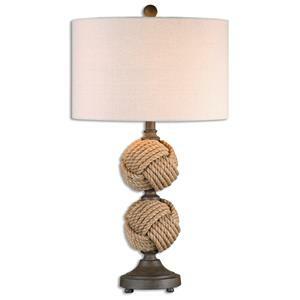 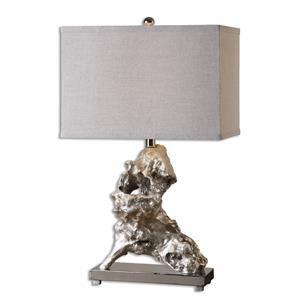 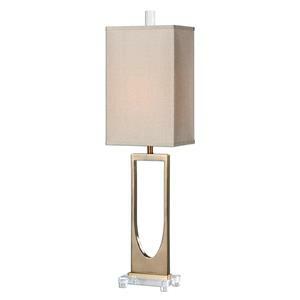 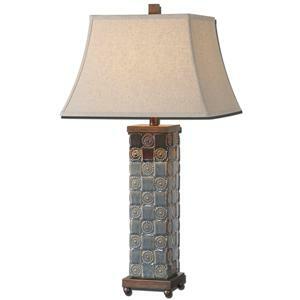 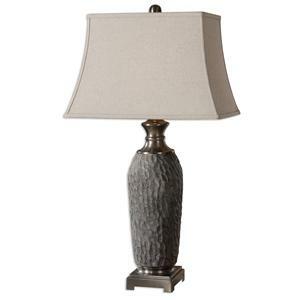 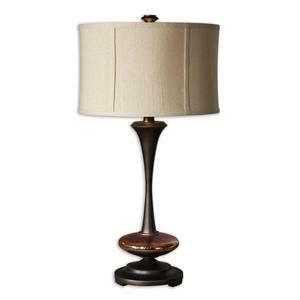 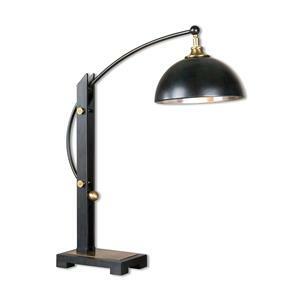 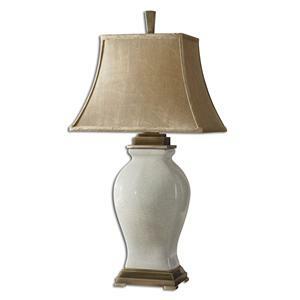 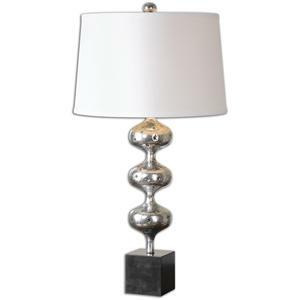 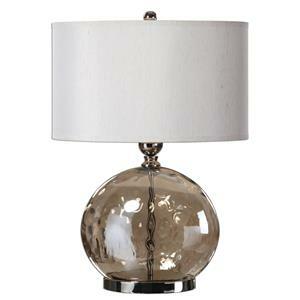 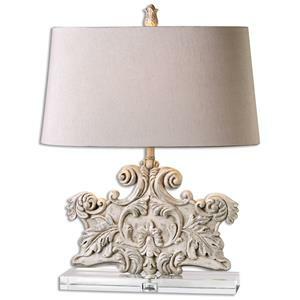 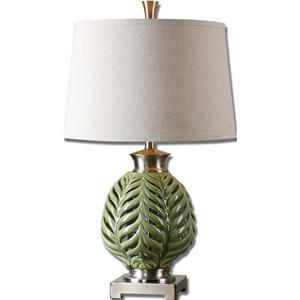 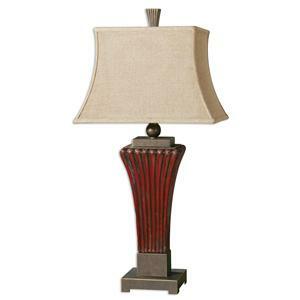 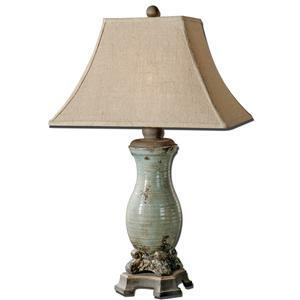 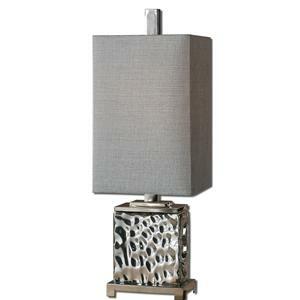 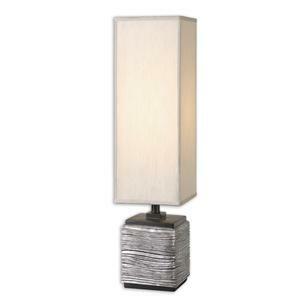 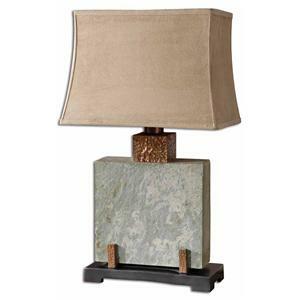 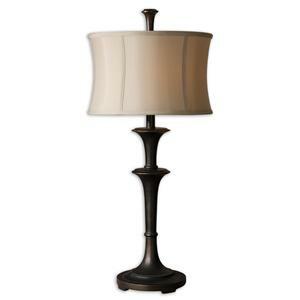 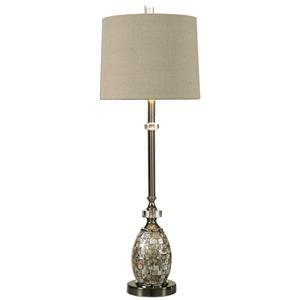 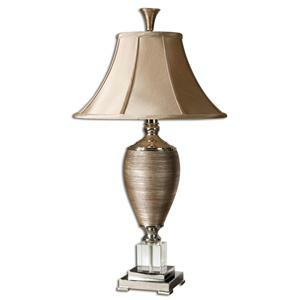 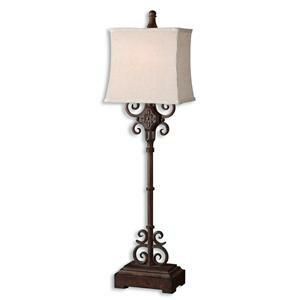 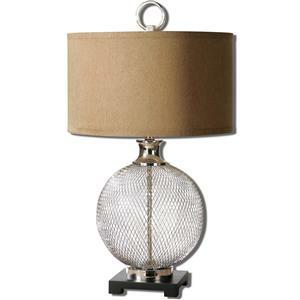 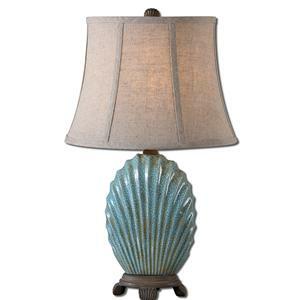 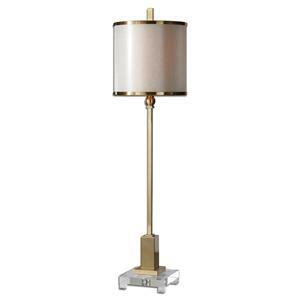 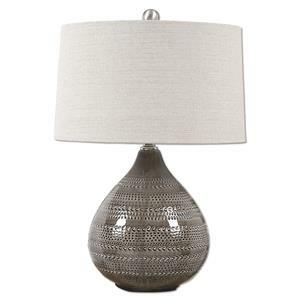 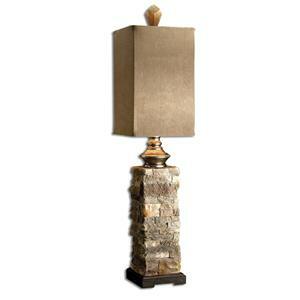 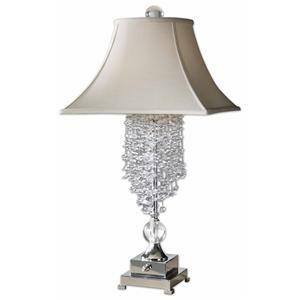 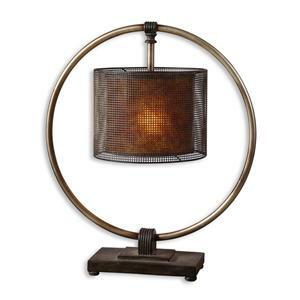 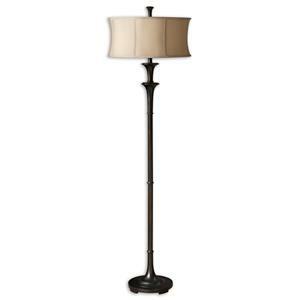 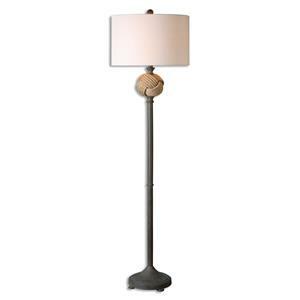 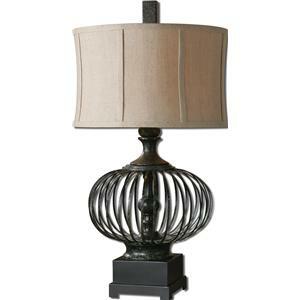 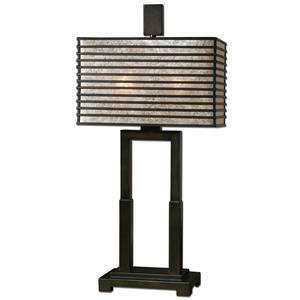 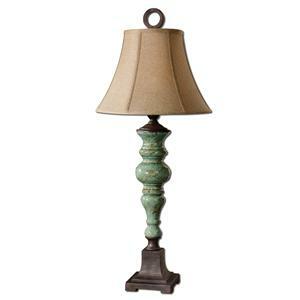 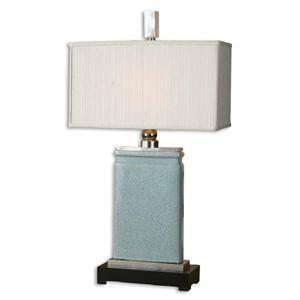 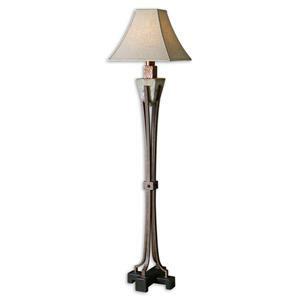 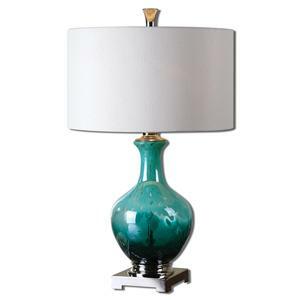 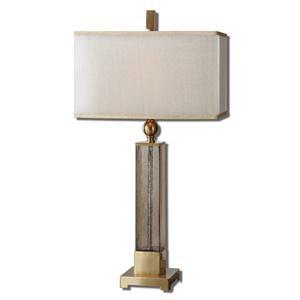 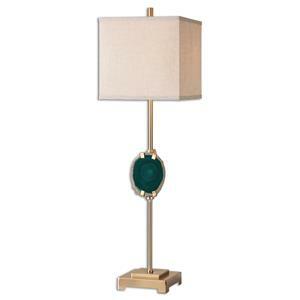 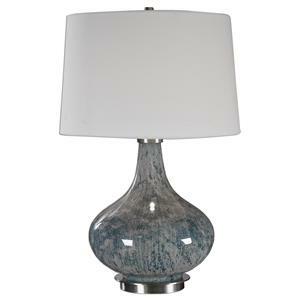 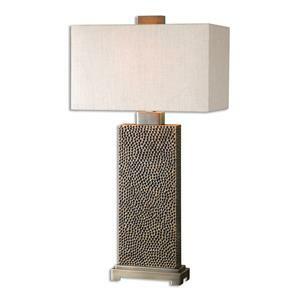 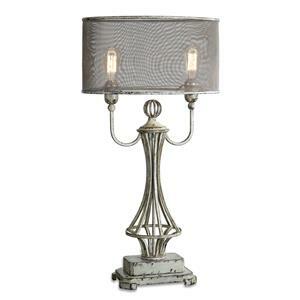 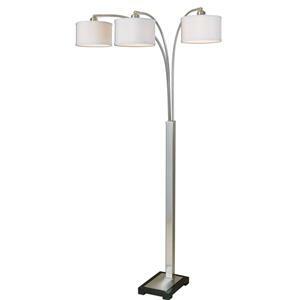 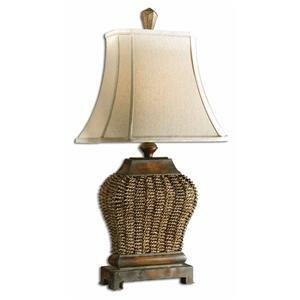 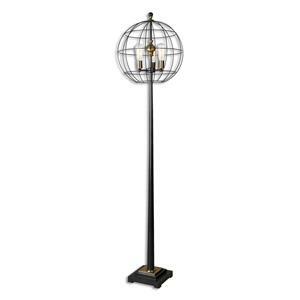 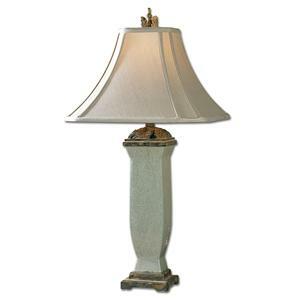 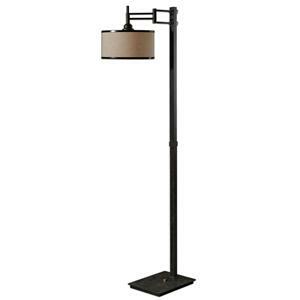 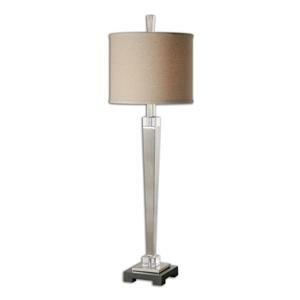 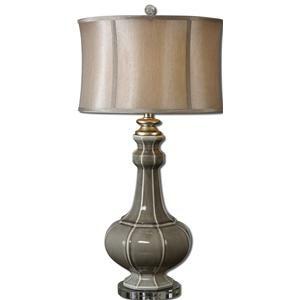 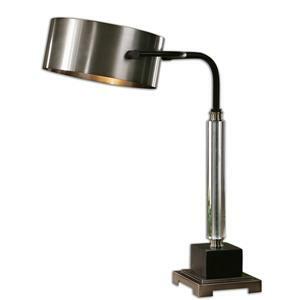 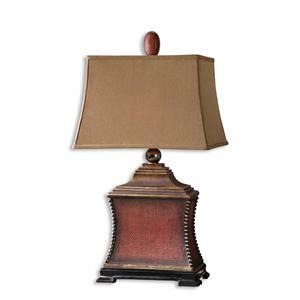 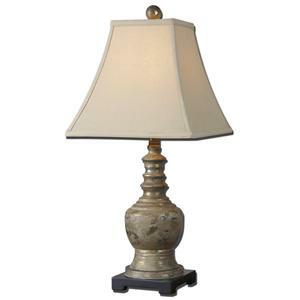 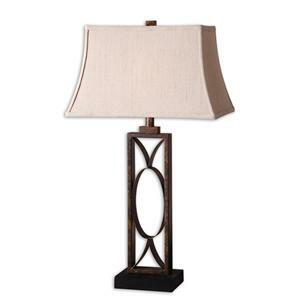 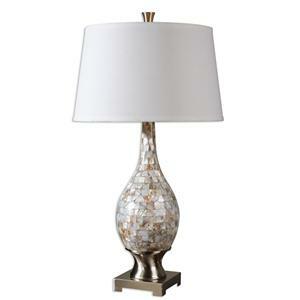 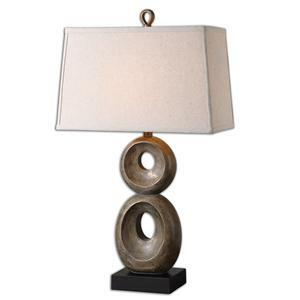 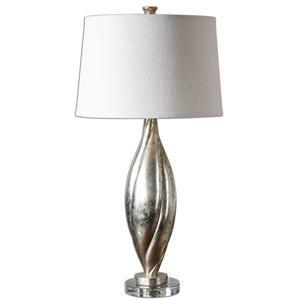 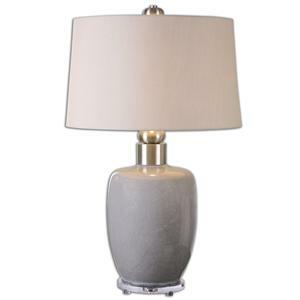 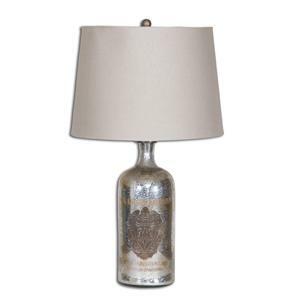 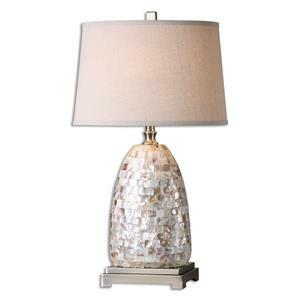 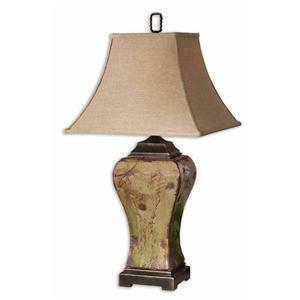 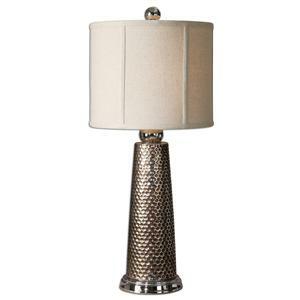 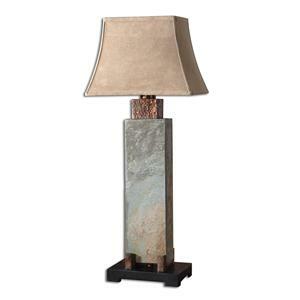 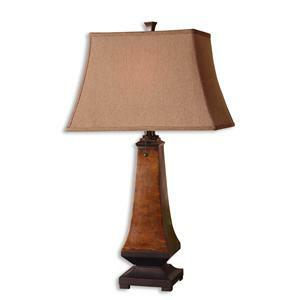 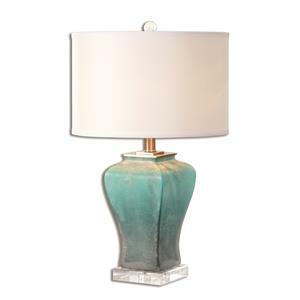 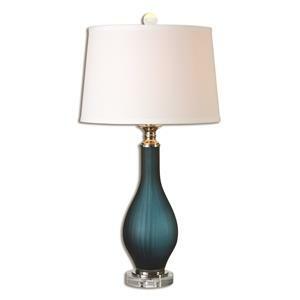 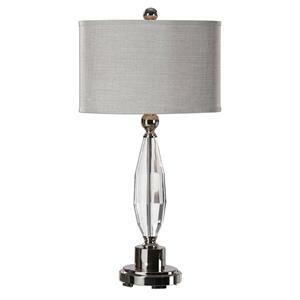 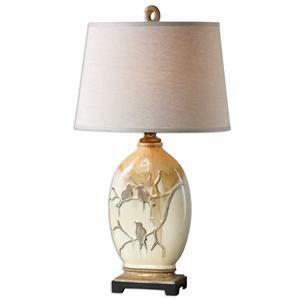 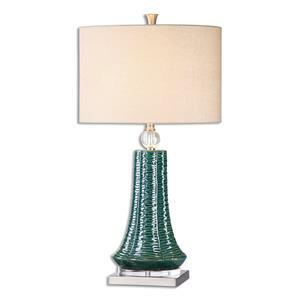 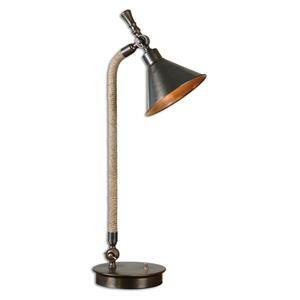 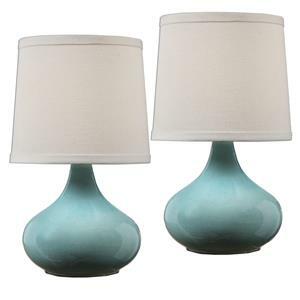 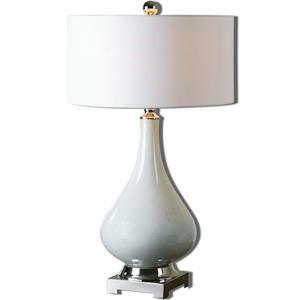 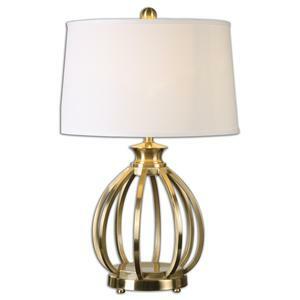 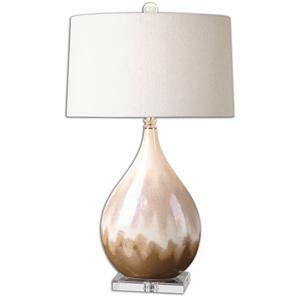 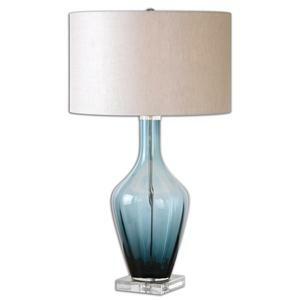 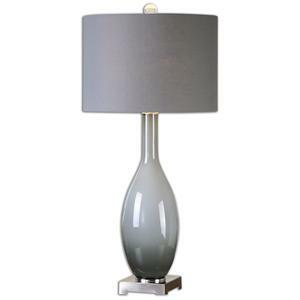 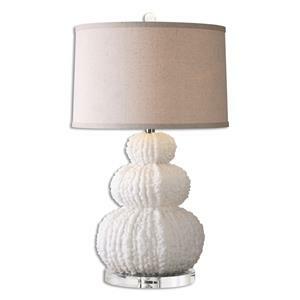 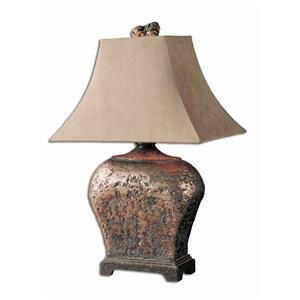 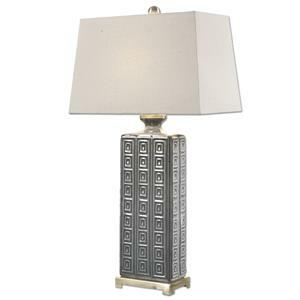 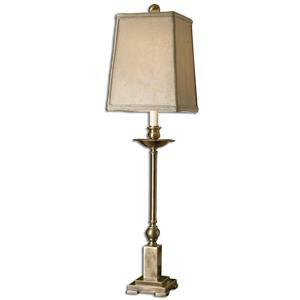 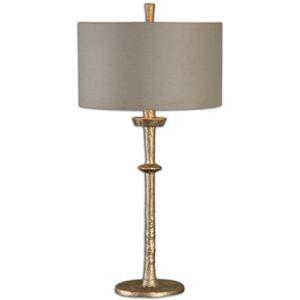 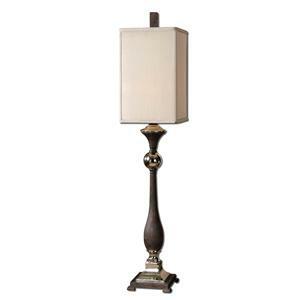 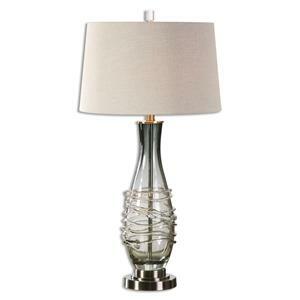 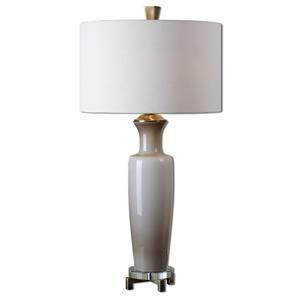 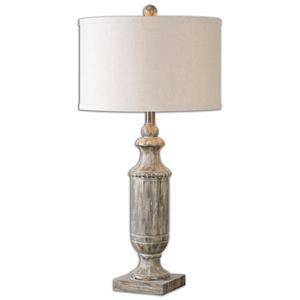 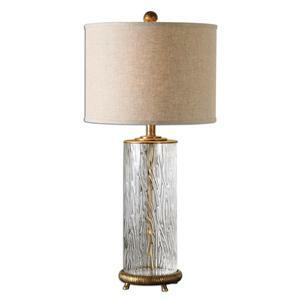 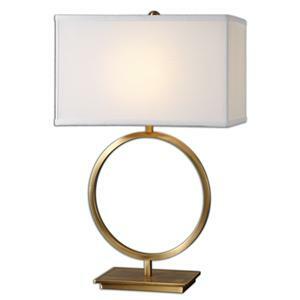 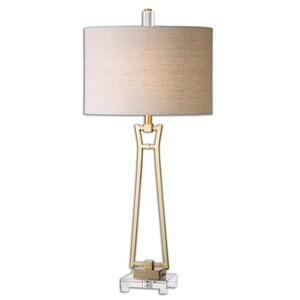 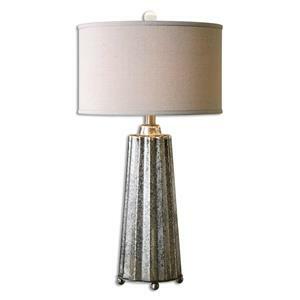 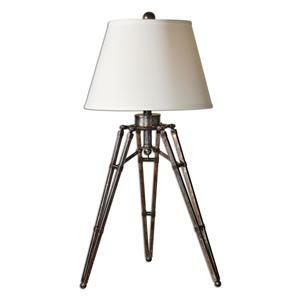 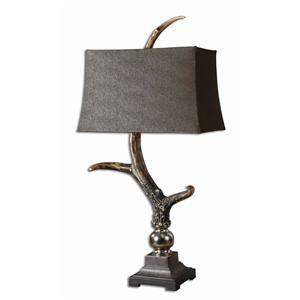 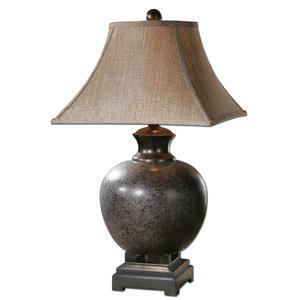 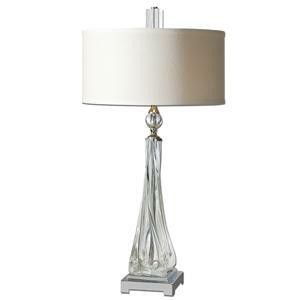 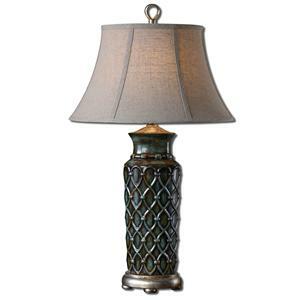 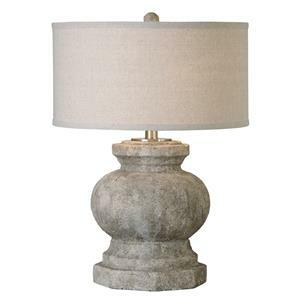 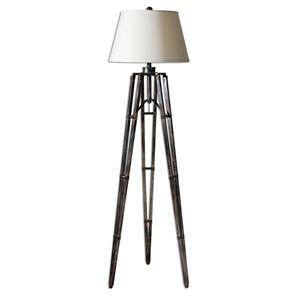 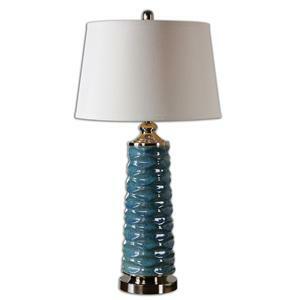 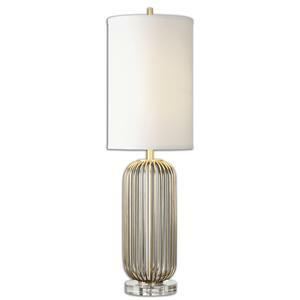 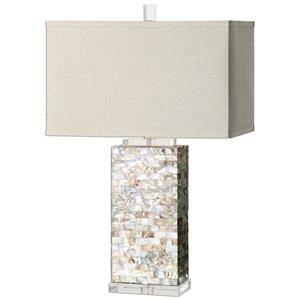 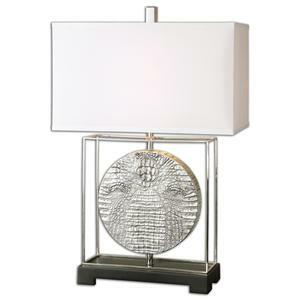 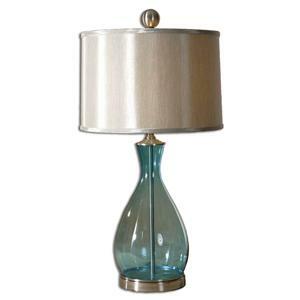 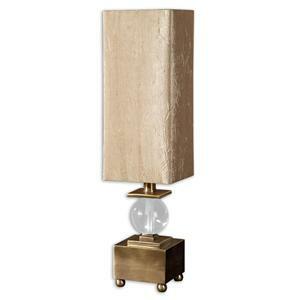 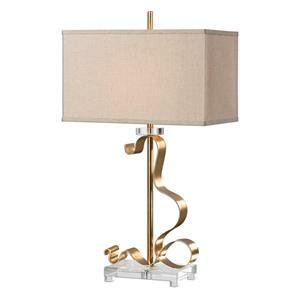 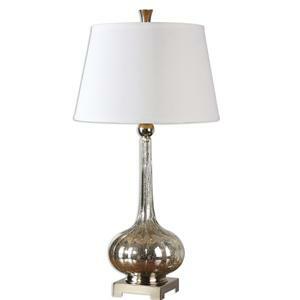 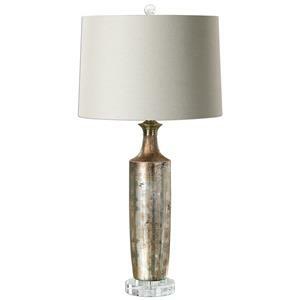 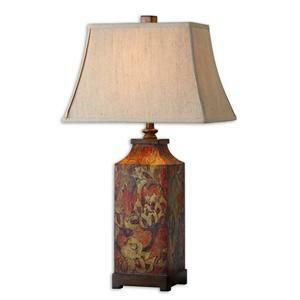 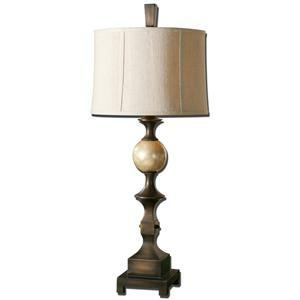 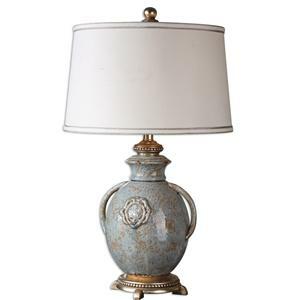 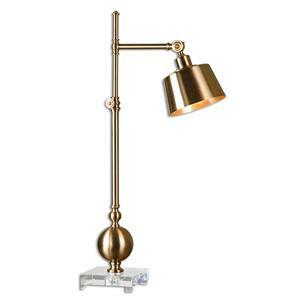 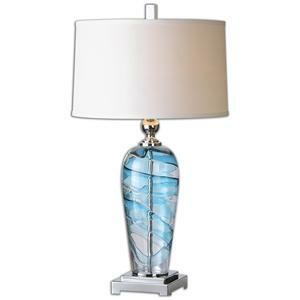 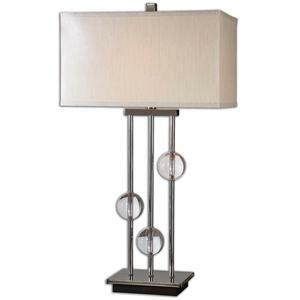 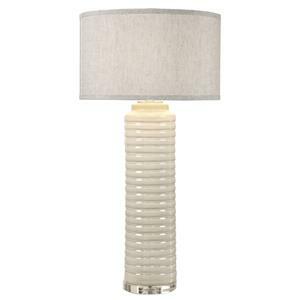 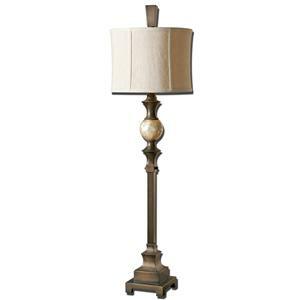 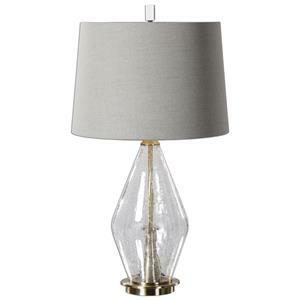 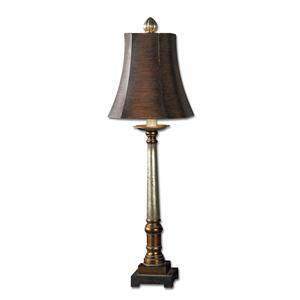 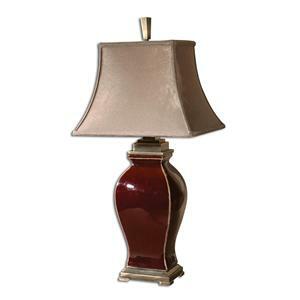 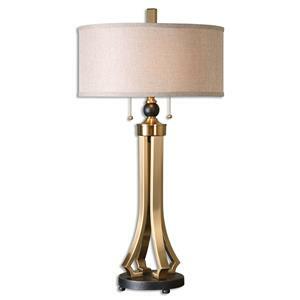 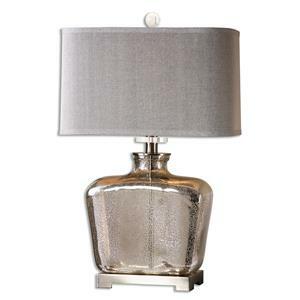 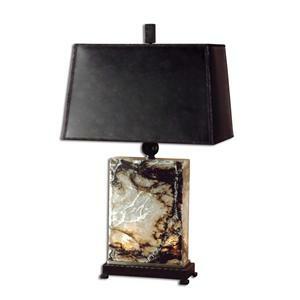 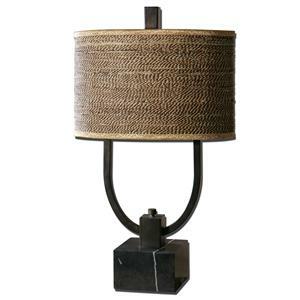 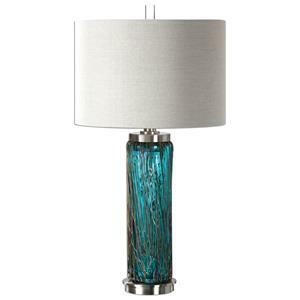 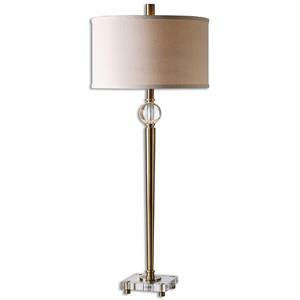 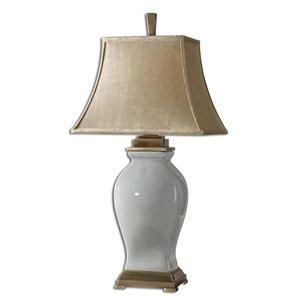 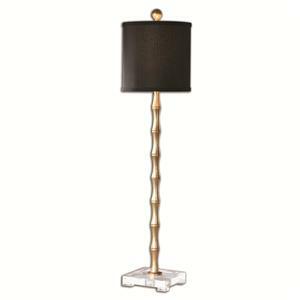 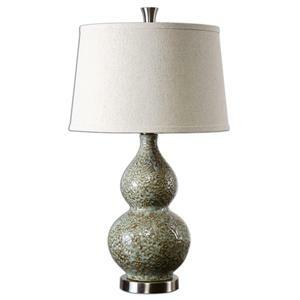 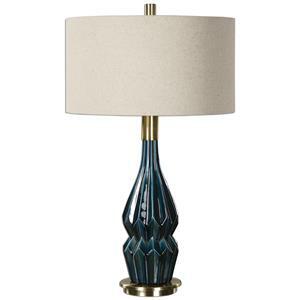 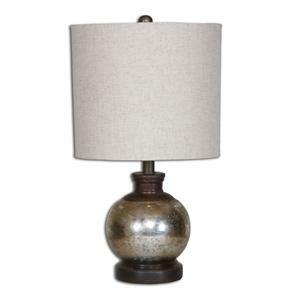 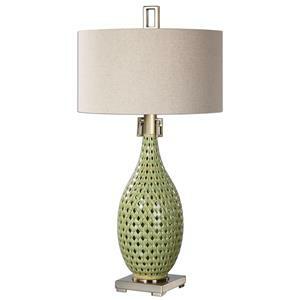 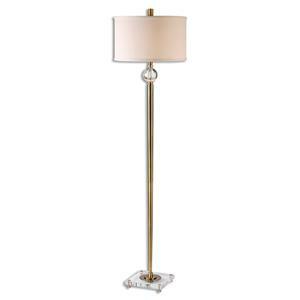 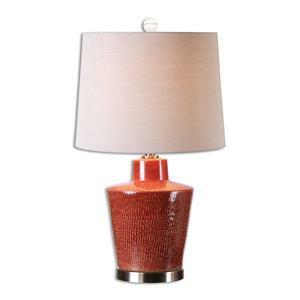 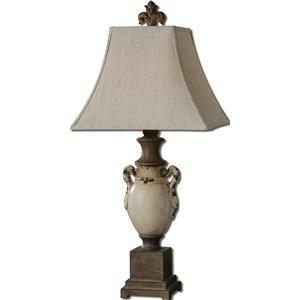 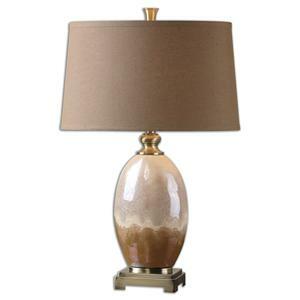 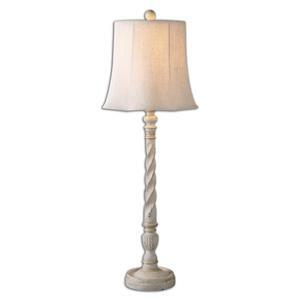 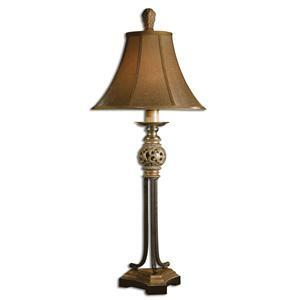 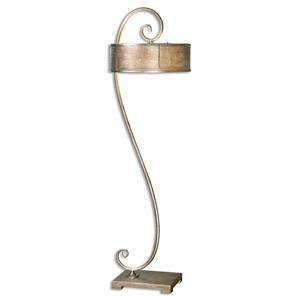 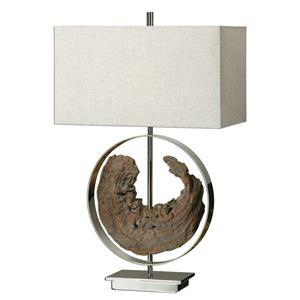 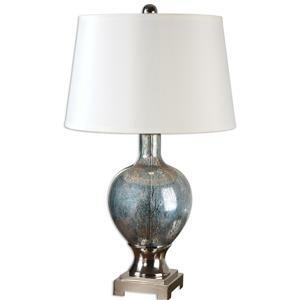 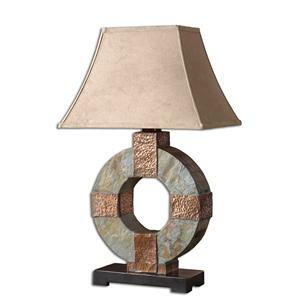 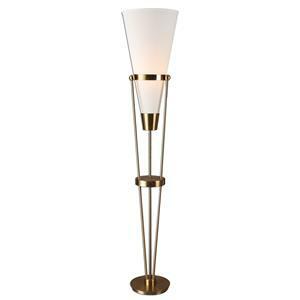 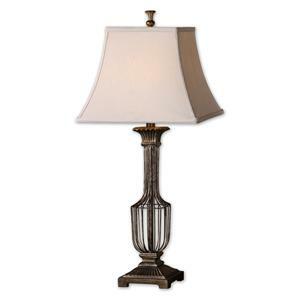 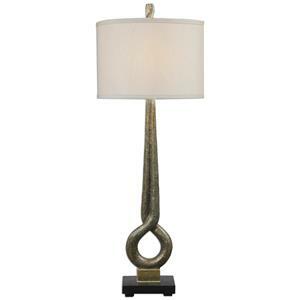 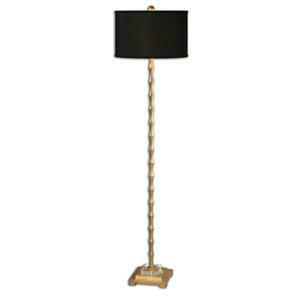 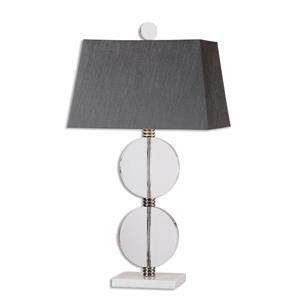 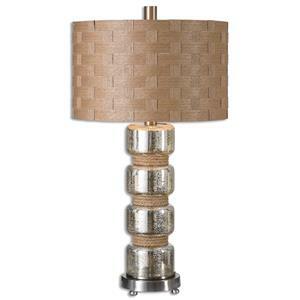 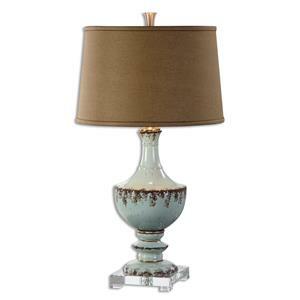 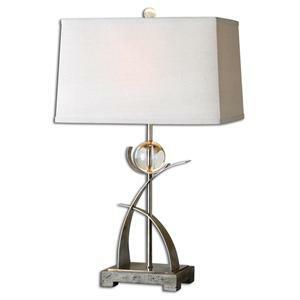 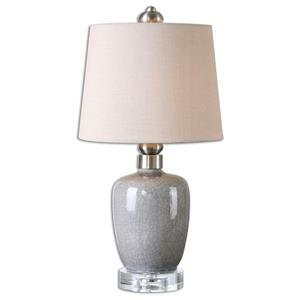 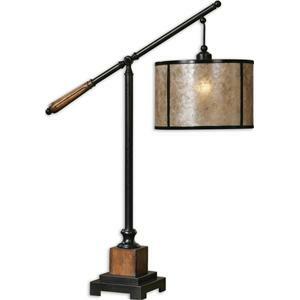 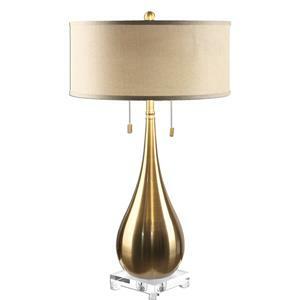 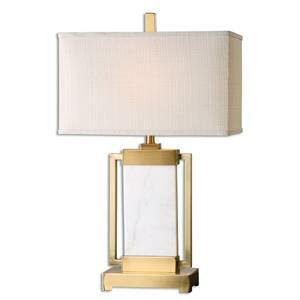 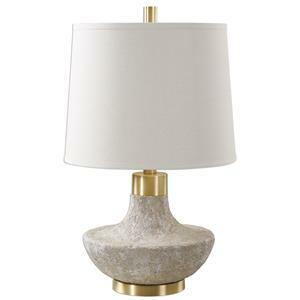 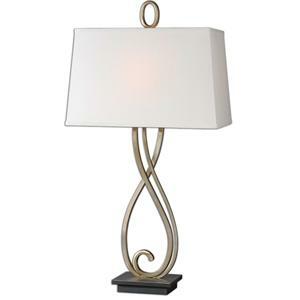 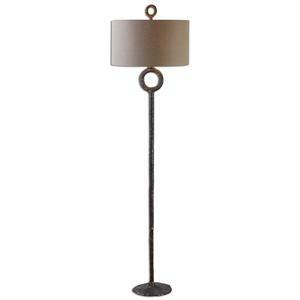 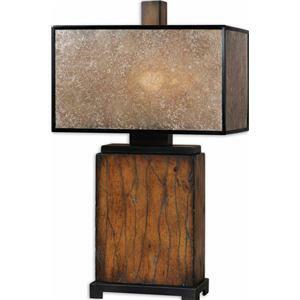 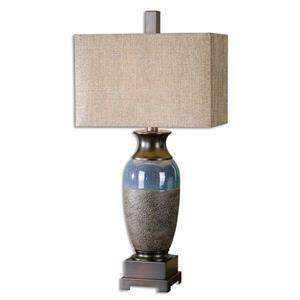 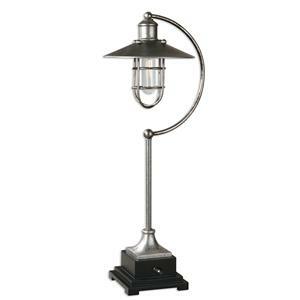 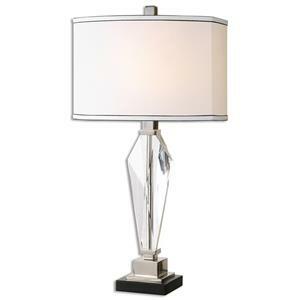 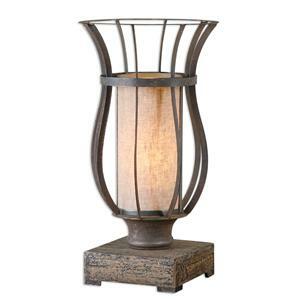 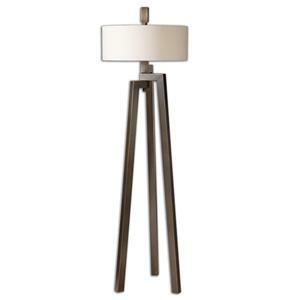 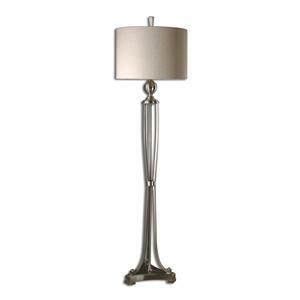 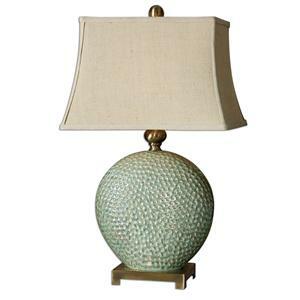 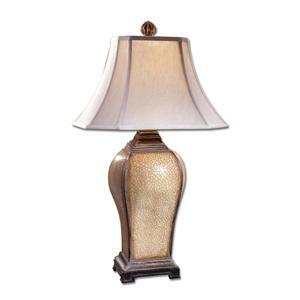 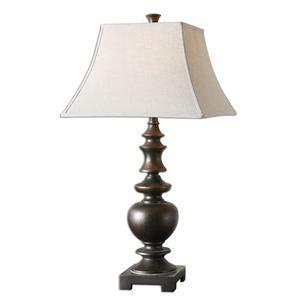 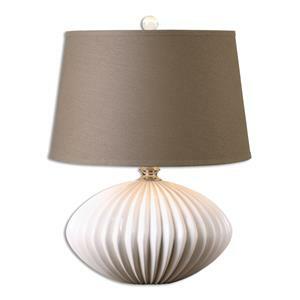 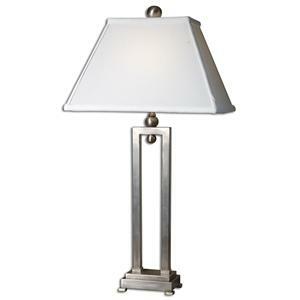 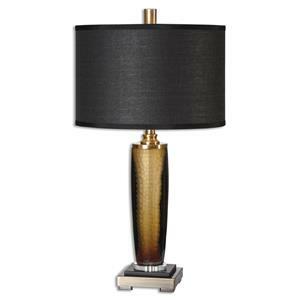 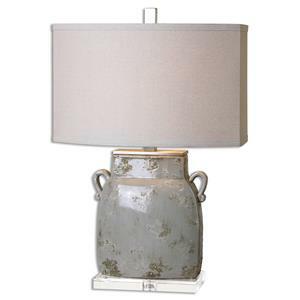 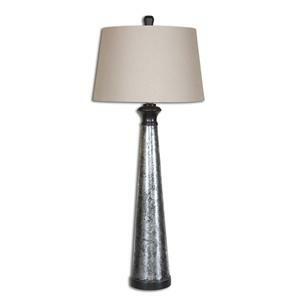 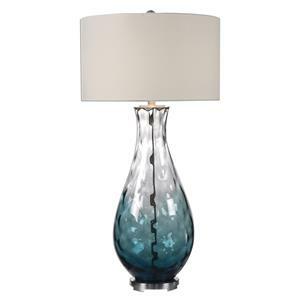 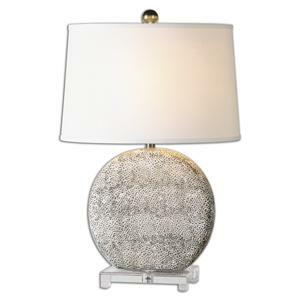 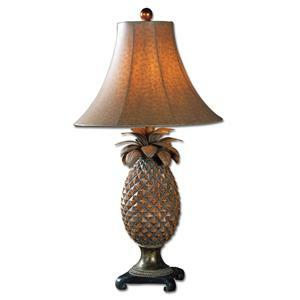 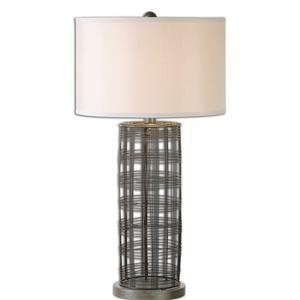 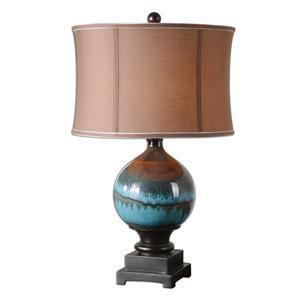 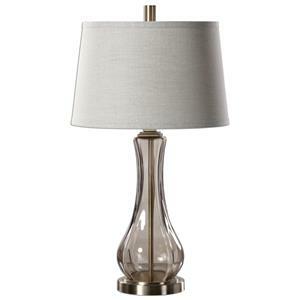 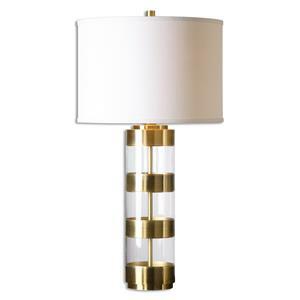 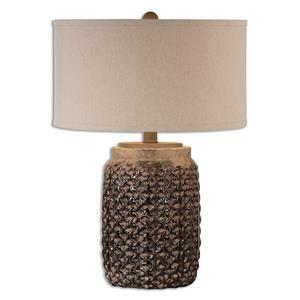 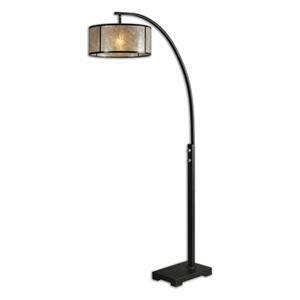 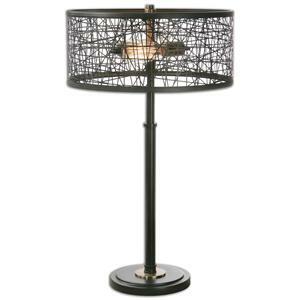 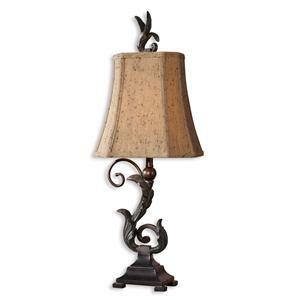 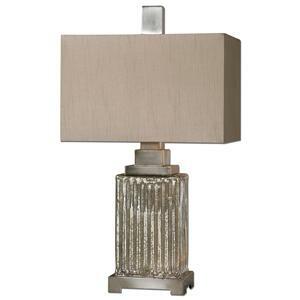 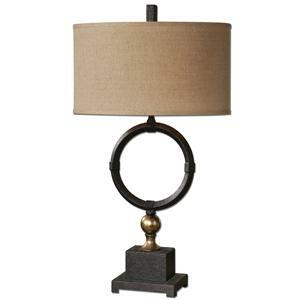 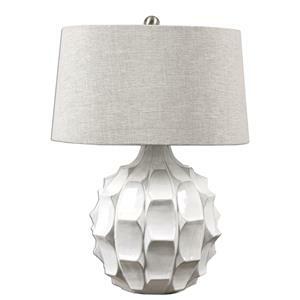 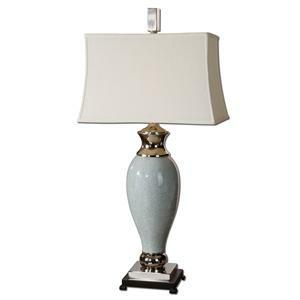 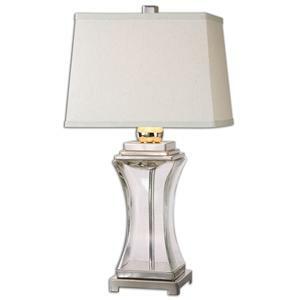 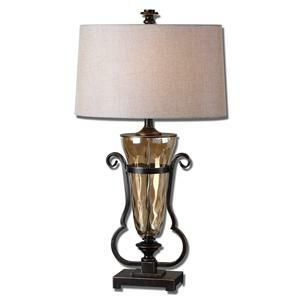 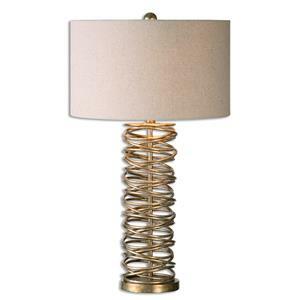 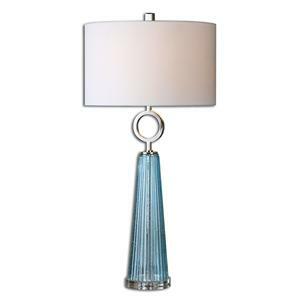 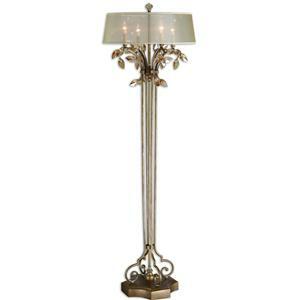 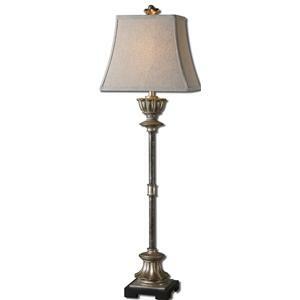 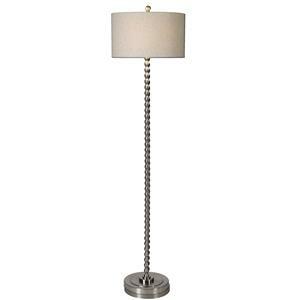 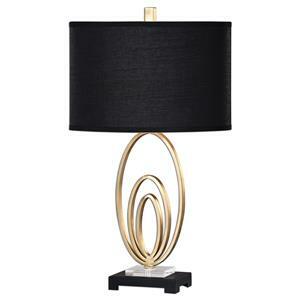 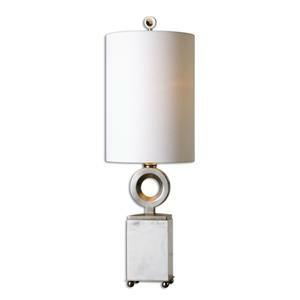 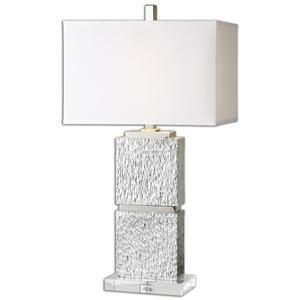 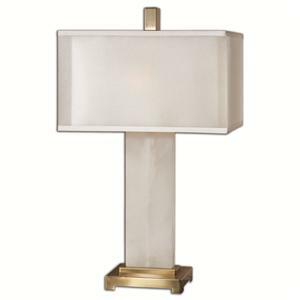 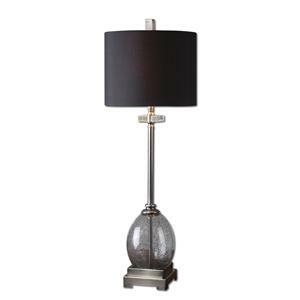 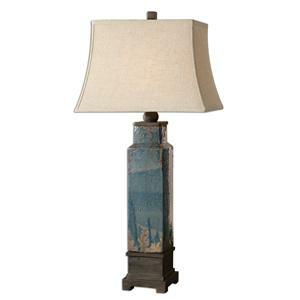 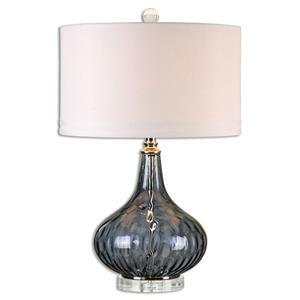 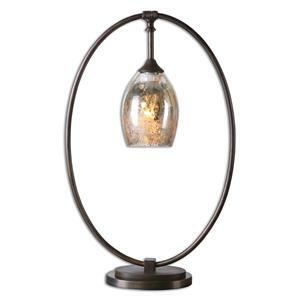 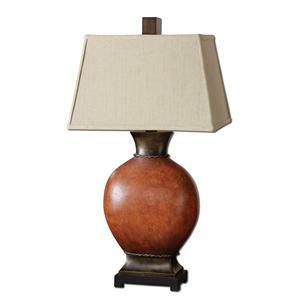 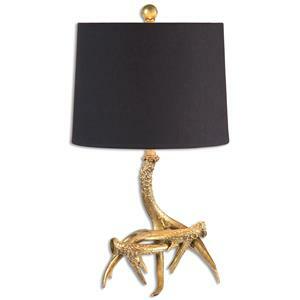 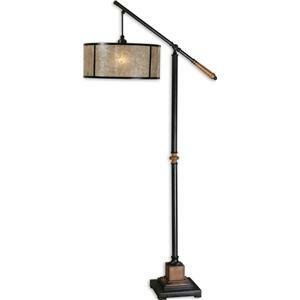 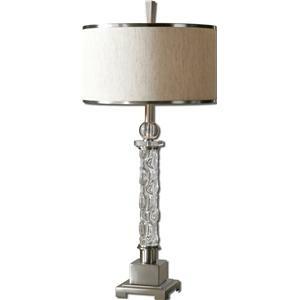 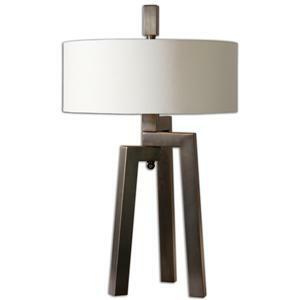 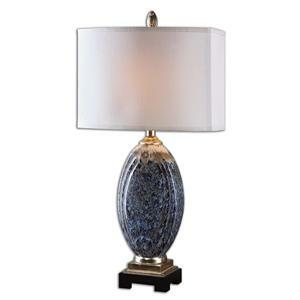 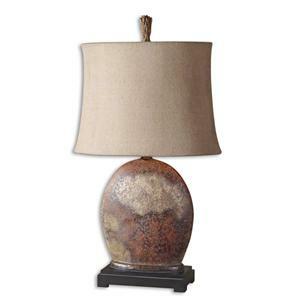 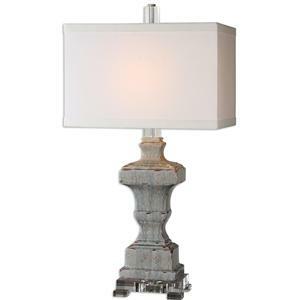 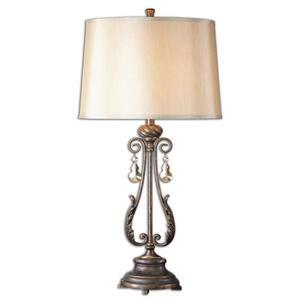 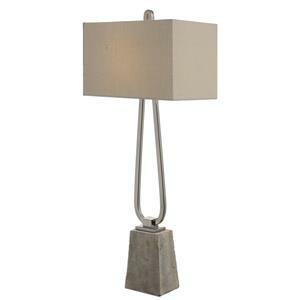 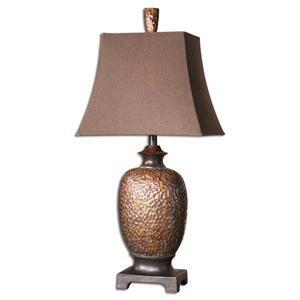 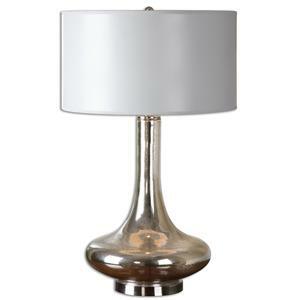 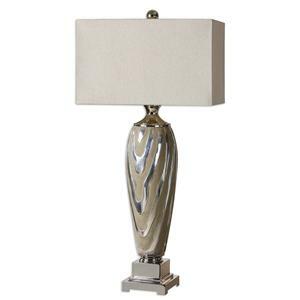 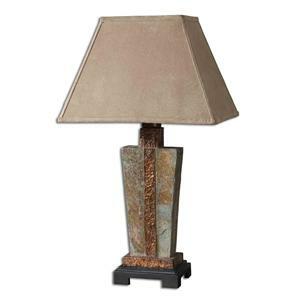 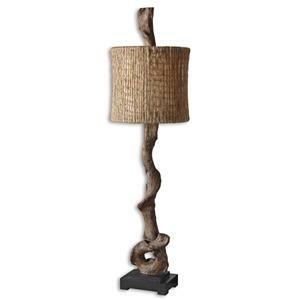 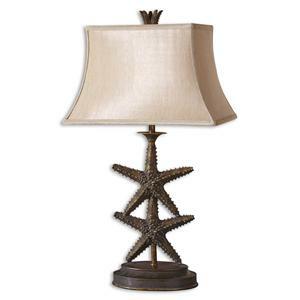 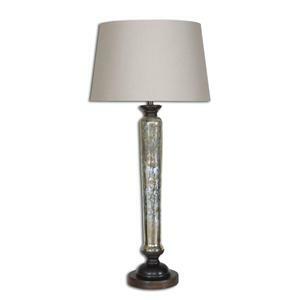 The Lamps Arcevia Aged Ivory Buffet Lamp by Uttermost is available in the area from BigFurnitureWebsite.